Recovering from addiction and codependency. 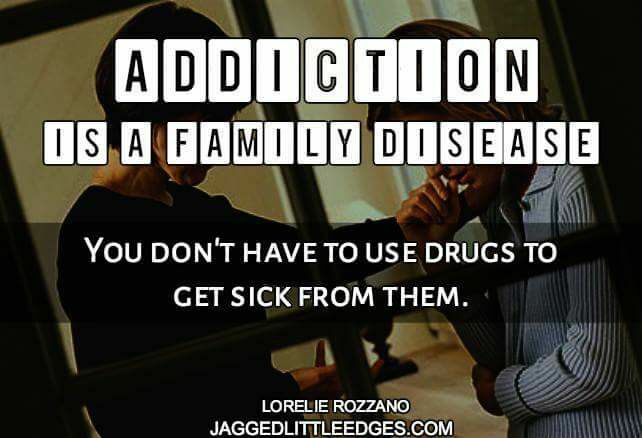 Addiction is called a FAMILY DISEASE because the 8 essential symptoms of addiction and codependency are the same. Codependency is a condition that affects an individual’s ability to have a healthy, mutually satisfying relationship. It is also known as “relationship addiction” because people with codependency often form or maintain relationships that are one-sided, emotionally destructive and/or abusive. 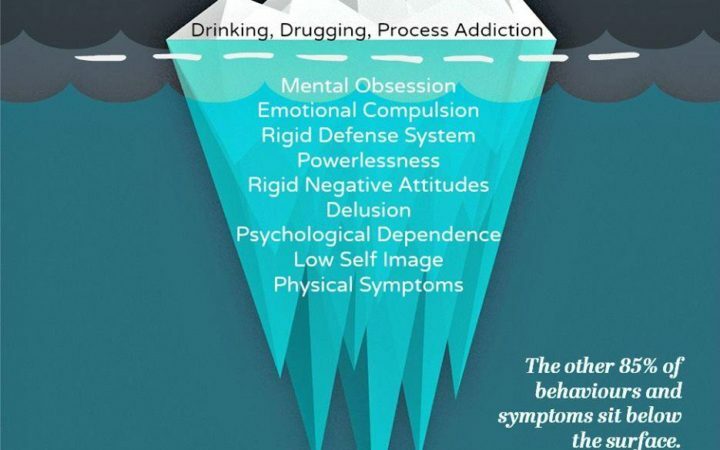 Addiction/codependency is like an ice-burg. What you see sticking out above the water is only 15 percent of this illness. The majority or 85 percent is what lies below. Addict – Repetitive focus connected to their drug of choice or addictive behaviors. Family member – Inability to focus on other things; experiences intrusive thoughts/always thinking about the addicted person. Addict – Needs more of the substance to achieve the same effect. Family member – Becomes more tolerant of the addict’s behavior. Addict – Loses control of their behavior under the influence of the substance. Family member – Loses control of their emotional reaction to the addict. Addict – A physical or psychological urge or craving to re-engage in getting high. Family member – A physical or psychological craving or desire to control the addict. Addict – Driven/obsessed to engage in addictive behaviors repeatedly. Family member – Driven/obsessed to engage in compulsive behaviors such as snooping, rescuing, or fixing. Addict – Cannot engage or use to the extent he/she once did, experiences negative consequences more quickly. Family Member – Less likely to stay in denial, may experience emotional bottom. 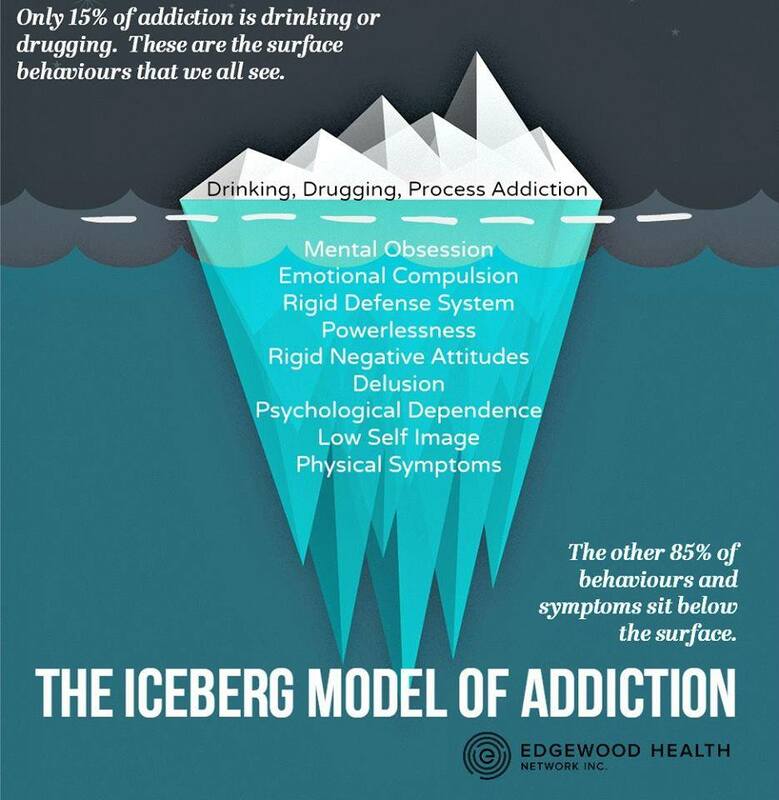 Addict – Physical problems may escalate; weight loss, injuries may become more frequent, poor dental hygiene, prone to infections, lungs, heart, and liver are affected. Family member – Stress-related health problems, less apt to prioritize healthy habits due to obsessively focusing on the addict. Experiences, insomnia, high blood pressure, depression, weight gain or loss, and isolation. Addict – Rationalizing, minimizing, justifying, blaming, sneaking, lying, hiding, keeping secrets, isolating, euphoric recall (remembering their first high instead of dealing with the current situation). Family member – Rationalizing, justifying, minimizing, blaming, sneaking, lying hiding, keeping secrets, isolating euphoric recall (remembering when times were good instead of dealing with the current situation). If you can relate to any of these 8 symptoms don’t despair! Self-awareness is key to recovering from codependency and addiction. You can’t change what you don’t know or won’t acknowledge. It’s never too late to start over again. The only way you can fail at recovery is to quit trying. 6 Ways To Fail Your Addicted Loved One. Addiction. A Game The Whole Family Can Play. Exciting news! Book 3 in the Jagged series – Jagged No More – has just been released!